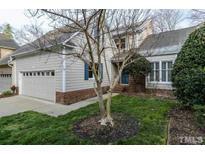 Below you can view all the homes for sale in the Macgregor Downs subdivision located in Cary North Carolina. Listings in Macgregor Downs are updated daily from data we receive from the Raleigh multiple listing service. To learn more about any of these homes or to receive custom notifications when a new property is listed for sale in Macgregor Downs, give us a call at 919-634-6501. 1st floor master Bedroom~ Two story living Room w/fireplace~Loft overlooking family Room~Full basement w/ family Room, custom built-ins~ fireplace~ extra flex Room~Office or 4th bedroom w/custom built-ins & full bath. Beautiful views from deck & patio! MLS#2247946. 5236. Easy walk to MacGregor Downs lake, golf course, pool and club! MLS#2246662. 986. Seller is licensed real estate agent. AS IS. MLS#2246933. 3313. Separate access to large unfinished attic over the garage. Sold "As Is"! MLS#2244047. 5026. Low-maintenance living never looked so good. MLS#2240476. 4402. Convenient to US 64, US1, Wake Med, shopping & dining MLS#2235716. 2034. 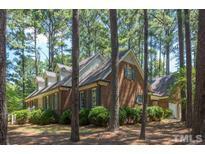 MacGregor Downs golf community, with easy access to Triangle amenities. MLS#2235095. 3639. 2 large bedrooms up w/ private baths + office + huge bonus room w/ back stairs. MLS#2224515. 649. Amenities include six fireplaces, a patio and porch with waterfront views, open living areas, two-car garage, vaulted ceilings, sauna and private bedroom suites. Simply magnificent! MLS#2229002. 1071. Flexible floor plan includes a multi-purpose sun room at the rear and an optional office at the front. MLS#2226401. 1071. This is a custom home & we welcome your buyer's input to help them make it their perfect dream home! MLS#2218831. 2017. Entertaining mecca on 3rd floor, exceptional outdoor living & pristine views of the 5th Tee. Room for your own pool! MLS#2205717. 4260. Main level Master Suite, 5 additional bedrooms, English Pub room, library, media, wine cellar, Multiple Covered Patios...ask for complete details of features MLS#2203247. 986. Nothing like it at this price! MLS#2191859. 986.